There are many popular minimally invasive procedures that can offer patients to change the way they look-but are temporary. Inject able fillers can bring back the lost volume due to aging while BOTOX injections relax the targeted muscles and minimize the appearance of wrinkles and protecting them from getting worse-both treatment and other such procedures wear off in six to 12 months. The better innovations as cosmetic facelift surgery can extend your youthful look for a longer period of time. 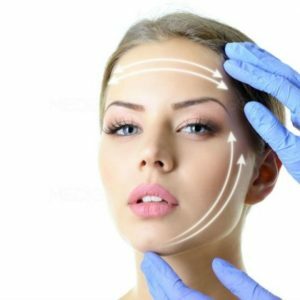 When the skin has sagged and can no longer be tamed and tightened with facial exercises and minimally invasive procedures, that’s your time to visit Crispin Plastic Surgery center for Facelift surgery in Atlanta. Do not use aspirin or aspirin containing substances. Nor any herbs or remedies that can make the blood thin. Although you will be completely guided by your surgeon for the list of medications you would need to discontinue before and after the surgery, and in case you miss, we are hitting the alarm for you. You will need multiple pillows to help you sleep elevated, so prepare your bed in advance with the best available pillows. You will need someone to take care of you, especially for the first 48 hours will be the toughest. Your medications and their correct intake will need guidance during this time; it’s great to have a support. Keep comfortable clothes ready for hospital wear. Front button opening shirt will be easier than the one that goes over the head. If you are a smoker, quit smoking for four weeks prior the surgery date. If possible then try not to smoke even after the surgery as nicotine and carbon Monoxide from cigarettes have disastrous effects on healing of facelift surgery. Stop using beverages and soft food. Keep all the hair clips and pins ready to tie your hair and get your hair dyed prior to the surgery. You will need to rest completely; there is no compromise with it. You will be adding a lot of effort and money into your facelift surgery and therefore, apart from walking for a bit to increase circulation nothing else should compromise with the results. Keep yourself hydrated with water. Your head will need to be elevated for proper healing. Question your surgeon about washing your hair, some patients can do it the same day while some are asked to wait. The first six weeks after the surgery will need you away from smoking. Your public venture should start in two weeks or less time. You will however need your concealer to help hide the bruises and marks. You will have numbness, swelling, and tightness of the skin lasting from couple of weeks to several months. If the stretching of the skin lasts for more than six weeks, you will need treatment like medication, massage, or some sort of exercise. Keep your hopes original and stay prepared for the after effects. If the incisions are very well done, they will need the same time to become narrower and flatten. Avoid smoking and direct exposure of the sun. Do not stress yourself with any kind of thoughts after the surgery is done, you have all the rights to treat yourself right and be the way you want to be.